A planning inspector has criticised evidence given by millionaire Dragons' Den star Deborah Meaden in a land dispute in Devon. Ms Meaden is fighting a residents campaign in Brixham to protect a field by registering it as a village green. Her firm Mudstone LLP owns Wishings Field and permission was granted in December to build 48 houses on it. But William Webster has rejected Ms Meaden's evidence and recommended village green status is granted. Residents want to protect the field from development, claiming it has provided an open space for local children to play for more than 60 years. Mr Webster said he had no hesitation rejecting Ms Meaden's evidence, while stating he found the Brixham residents' evidence "very compelling". He said he found them "honest, genuine and doing their best to assist the public inquiry". In his report, the planning inspector described part of Ms Meaden's evidence as implausible. He said one of her claims was "too far-fetched to be credible" and another was an "extraordinary observation" that he could not accept. "In truth, she probably had very little knowledge of what was happening on the field," the inspector said. 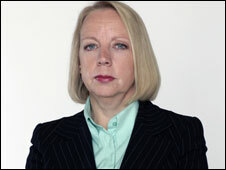 Following the inspector's recommendation, Deborah Meaden said: "This was a serious, formal public inquiry and I answered every question truthfully. "Numerous independent witnesses gave evidence very similar to my account of events." The Brixham campaigners have given the inspector's recommendation a cautious welcome, stating there is still work to be done before they win their battle to protect the field. The inspector's report, together with a council officer's report, will be considered by members at a Torbay council meeting on 24 September. Mudstone LLP said it had studied the findings of the inspector's report and noted his recommendation. "We will now await a final decision on the status of the land in question, which we expect before the end of the month," a spokesman said.